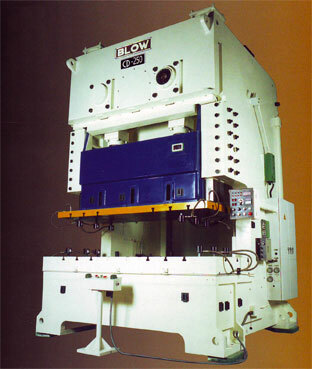 The press frame is constructed of heavily reinforced 1020 steel, fully stress relieved. The crankshaft is machined from a 1045 steel forging. 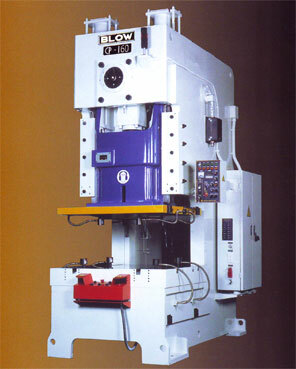 This gives the press low deflection and high rigidity for long life; not only for the press, but for your dies as well. This press gives you a broader working space. The rigid frame and six-point gibbing guarantees precision through the stroke. This model ensures increased productivity and cost reduction by using less floor space and by utilizing progressive manufacturing.